Happiness is finding a Whipple for sale online for only 99 cents plus shipping. 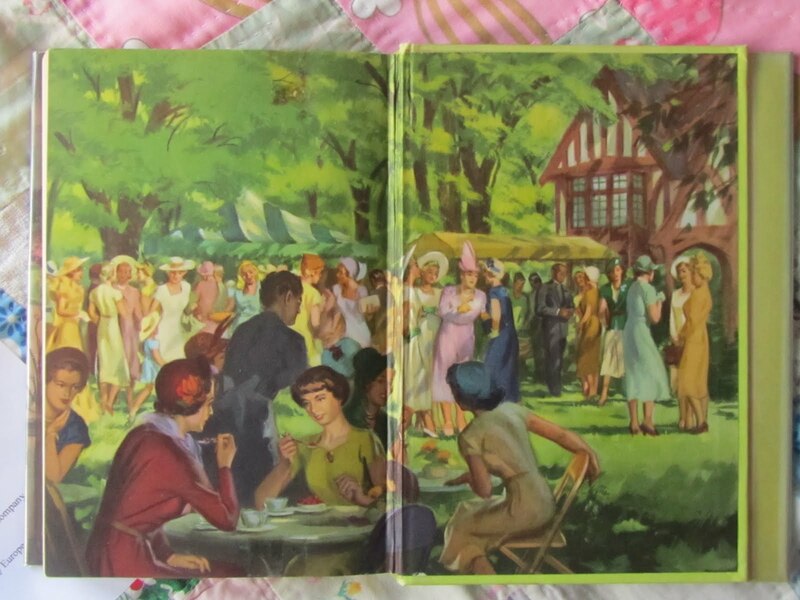 I have no idea what my edition of Because of the Lockwoods will look like, but I would love it if it had endpapers like the ones Rachel shared on her blog. I know it doesn’t have the dust jacket. Aren't those endpapers lovely? I had forgotten I owned that book, thanks for reminding me! Such a brilliant Whipple, I hope you enjoy it – and fingers crossed that your copy is the same as mine! What a fantastic find! I do hope yours turns out to have those gorgeous endpapers. If those are end papers I would have been happy just with that! What gorgeous endpapers! I want to seek out a copy now too just for that. Rock on! I hope it's everything you want it to be and more! I have the edition you're showing of Because of the Lockwoods. It's beautiful! I hope you get it. This is my second favourite Whipple after They Were Sisters. Have you read it yet? I hope you enjoy it. 99 cents! What a find! I do have that edition but I paid a bit more for it, I think it was $9. I really loved it but I've loved all her books so far. I have three unread on my shelves but I'm trying to save them as long as possible. I have the same one! It doesn't have a dust jacket either. I love the endpaper and I love the book. It's my second favorite Whipple. Enjoy! Simon and I were at a Persephone event last night and Nicola said she is spacing out remaining Whipple novels (Greenbanks is being reissued this year) to prevent being thought of only as the publisher of Dorothy Whipple. So enjoy Because of the Lockwoods as it may be some time before it becomes a Persephone, if at all. P.S. Are you posting in the “Seen on the Metro” series soon? I have a story to share! Not that exciting but it amused me. Rachel: I am guessing mine won't be as pretty but I can't wait to get it nonetheless. Cristina, Mystica, Lola, and Birdie: More books should be this pretty. Literary Wayfarer: Yes, I recently read They Were Sisters and I agree with your opinion of it. Karen: I would pay $9 for an out of print Whipple even if it wasn't pretty. Mrs. B: What is your first favorite? Claire: Good to know about Persephone's plans for future Whipples. I will be doing a Seen on the Subway this week because I finally ran into some interesting ones this week. I hit a bit of a dry patch in recent weeks. UPDATE: It has the endpapers and I am on page 30 and loving it.